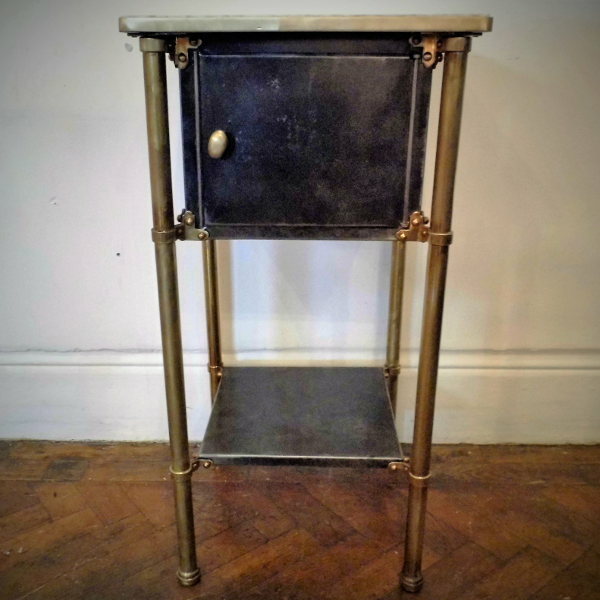 An unusual and very stylish Antique Metal Bedside Cabinet. 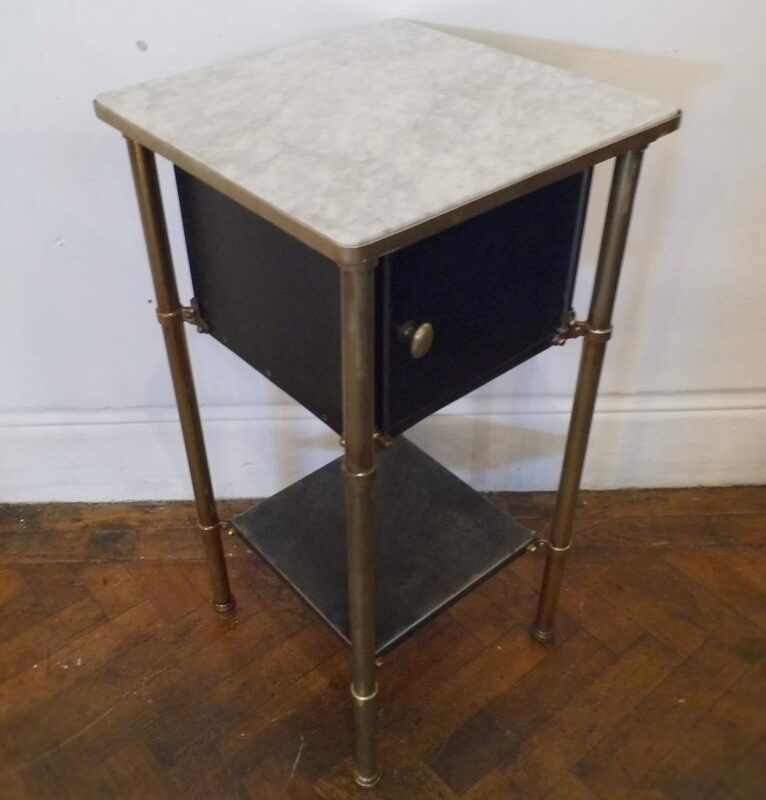 This polished steel cabinet has brass legs and a carrera marble top and may originally been for medical use. It was made in France around 1880. 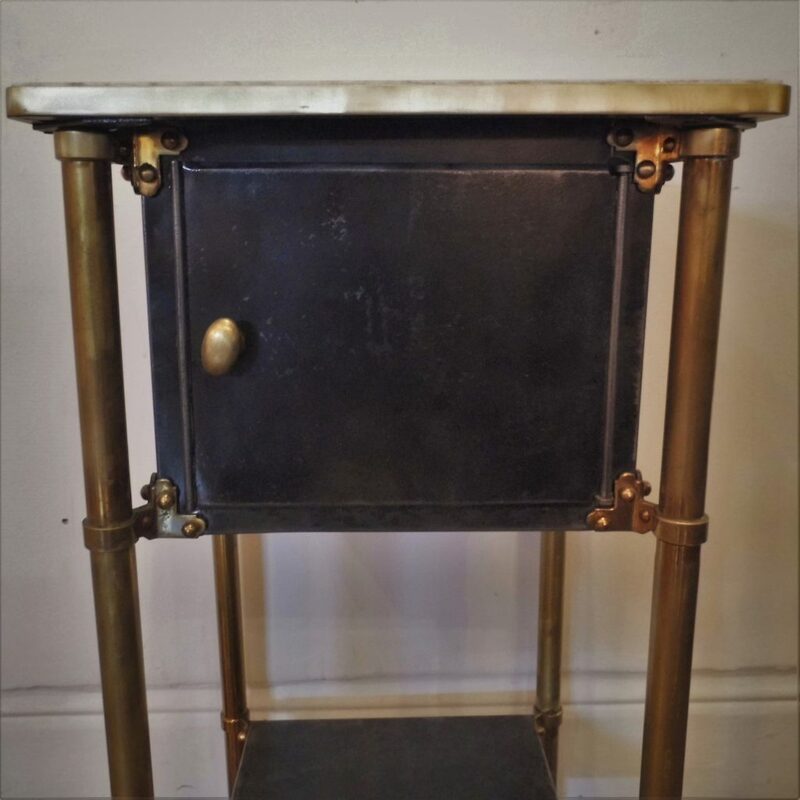 The contrasting steel and brass give this a distinctive look which would work in antique or modern settings. It is in good condition with a little wear and tear in keeping with age and use and adding to its wonderful patina. It measures 39cm by 39cm wide by 77cm high.